With James Gunn officially back on board, it appears as though Marvel may have already locked down their production timeline for Guardians of the Galaxy Vol. 3. Granted, a lot could change between now and the actual start of filming. After all, this movie was originally supposed to start production in January of this year. Before Gunn was fired by Disney last summer, only to be rehired again recently. In any event, it's now expected that the Guardians will be back at it in early 2021. According to a new production listing, Guardians of the Galaxy Vol. 3 is set to begin filming in February 2021. That's nearly two years from now, but we expected that to be the case. After James Gunn was fired by Disney over resurfaced, inappropriate tweets, he took a gig writing and directing The Suicide Squad for Warner Bros. He's still going to make that movie and it's going to happen before he makes his return to the Marvel Cinematic Universe. And he has to wrap up his commitments to DC before he can jump ship once again. The Suicide Squad is expected to begin filming before the end of the year and is set to arrive in August 2021. While James Gunn will still have to make time for press and all of that good jazz, it's conceivable that he could be done in time to begin filming Guardians 3 by February 2021. This could also just be Marvel tentatively trying to map out their production schedule based on the release calendar they have planned behind the scenes. As many fans surely know, Marvel Studios is being very cagey right now about their official slate beyond Avengers: Endgame. As for plot details regarding Guardians of the Galaxy Vol. 3, those are virtually non-existent. What we know is that James Gunn had turned in a completed script prior to being fired. That script has been praised a great deal, but that's really all that's been revealed. Also, given whatever else may happen in the MCU between now and then, some tweaks may need to happen in order for it to fit nicely into the continuity. So really, all we know is that whatever members of the team survive Avengers: Endgame, some of the Guardians will be back. To date, the two Guardians of the Galaxy Movies, both directed by James Gunn, grossed a combined $1.63 billion at the global box office, making it one of the more successful solo franchises outside of the Avengers movies in the MCU. 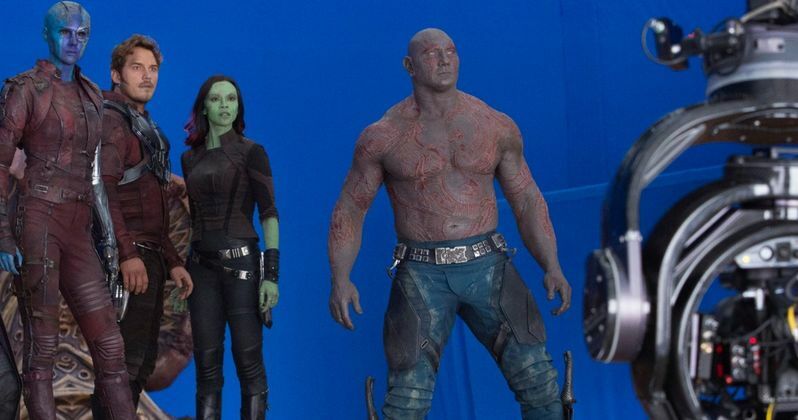 There was a great deal of criticism aimed at Disney following James Gunn being fired, with the entire core cast, particularly Dave Bautista, expressing their support for the filmmaker. So, even though it's a long way off and with few details available, fans are quite excited about it now that Gunn is back in the director's chair. Guardians of the Galaxy Vol. 3 does not yet have a release date. This news was originally reported by Production Weekly.